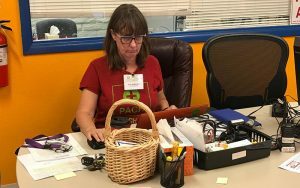 PHOENIX – It can be daunting to try and get health care when someone does not speak the language or does not have the legal status to navigate an already complicated system. 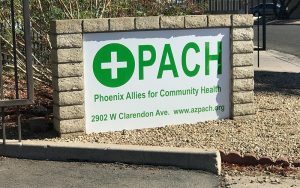 Phoenix for Allies Community Health is one place members of the immigrant community can turn to, regardless of their status. Luis Edgar Chavez stumbled upon it after his mother-in-law needed medical care. He is now a patient. “Everywhere you go, you feel that position, that pretty much everybody is against everybody. You come over here and you do not feel that,” Chavez said. When the undocumented father of two realized he needed medical assistance for lacking an essential vitamin, he did not know where to turn. “One day I was feeling really sick and they gave me some type of emergency help with an IV,” Chavez said. Seems simple enough, but for immigrants who do not have proper documentation, a routine checkup can be nearly impossible. Finances, paperwork and even language barriers can all be roadblocks to getting the health care needed. But at PACH, that is not the case. The clinic, located in West Phoenix, has their doors open to whomever may need it. Amy McMullen helped start the clinic in 2012 and is currently the clinical director. The clinic is primarily run by volunteers and medical students with certified doctors doing occasional rounds. “I do not get a paycheck, nobody here gets a paycheck. We do this on our spare time. We do not get money from the government, we get it from people who have big hearts,” McMullen said. In addition to medical care, the clinic offers services such as acupuncture, wellness checks and prescriptions. Those who work there said they wouldn’t be able to serve the community if it weren’t for the donations that keep it running. “We can only see as many patients as we can afford. If we have money coming in, we can add more patients. If we do not have money coming in, then we have to pull back the number of patients we can see,” McMullen said. At times, immigrants may have a hard time obtaining insurance or other health care assistance provided by the government. That’s where PACH steps in, offering medical services free of charge. “A lot of immigrants are here on visas and they have a green card. You have to have a green card for at least five years before you qualify for any kind of government assistance,” McMullen said. McMullen added PACH also helps treats many different chronic diseases among the immigrant community. “Hypertension, diabetes and high cholesterol,” McMullen said. According to her, these diseases are often called “silent killers”, affecting immigrant communities, at times, in higher numbers than others. “Those are the ones that people do not know they have a problem with but, all of a sudden, they are in the emergency room,” she said. For patients like Chavez, a place like PACH not only provides him with medical care, it also gives him a peace of mind. “It is way easier to come over here and get help and treatment than trying to go to a regular hospital or other clinics,” Chavez said.